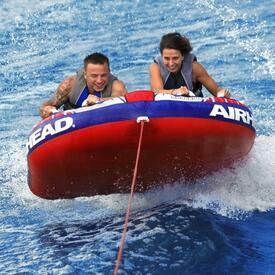 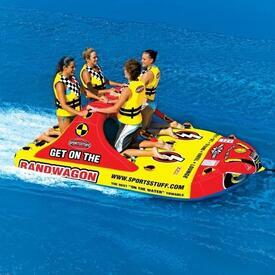 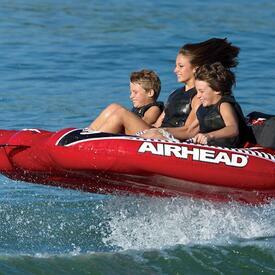 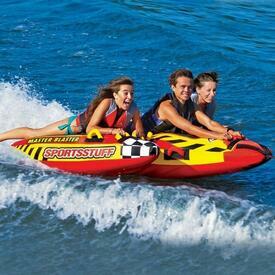 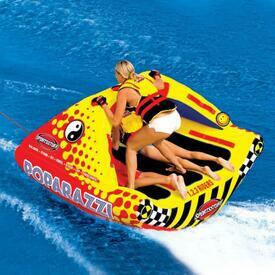 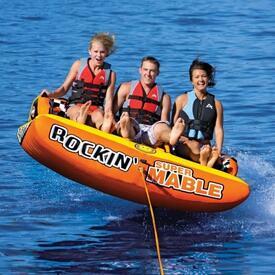 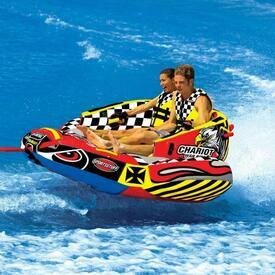 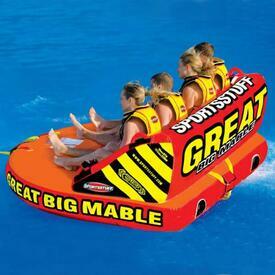 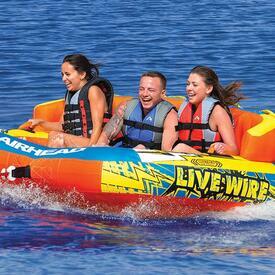 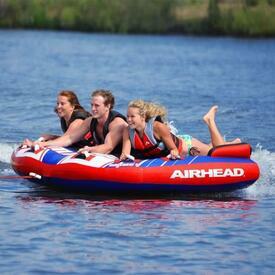 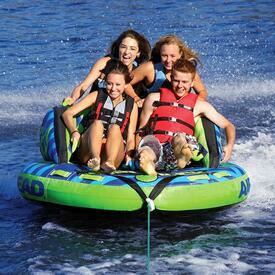 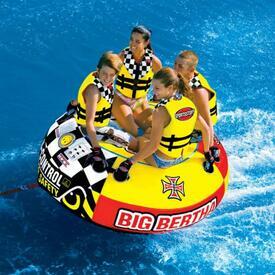 Towable tubes, inner tubes and other boating floatation devices for water sports are on sale at Family Leisure! 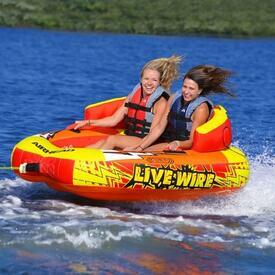 Find colorful options with the best construction in our offering by brands like Kwik Tek, Airhead and O'Brien. 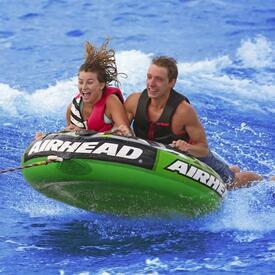 If your family is into water sports, but growing tired of the same old donut inner tube, you can find something new and inventive at Family Leisure. 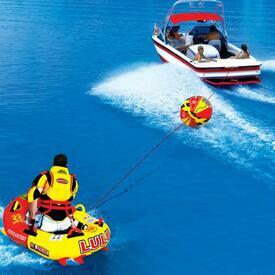 We carry towables from Sportsstuff and others that feature forward thinking designs. 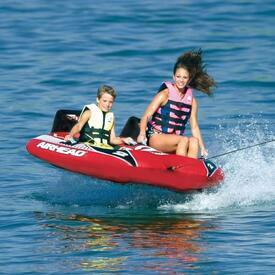 Imagine: two-in-one options, reversible models and more.